Until the 16th century Izamal was a mighty Mayan city, with six pyramids around a huge ceremonial plaza at the largest urban centre in the North Yucatec Plains. 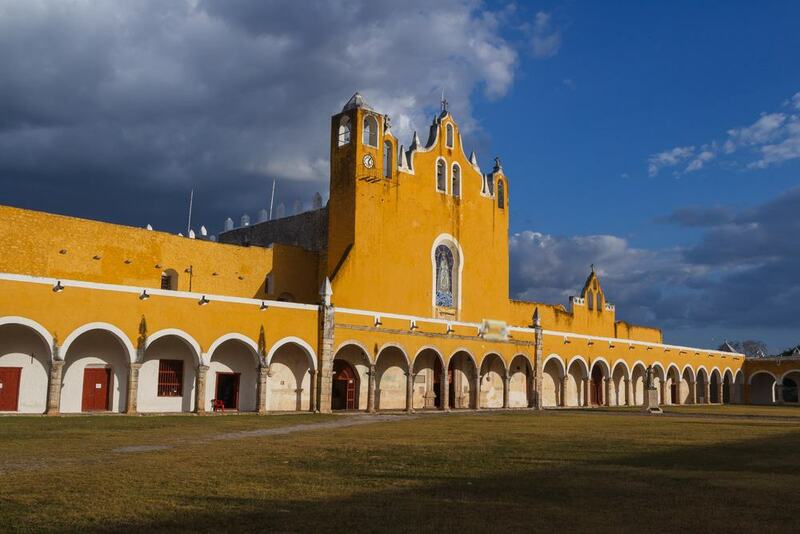 After the Bishop Diego de Landa arrived at Izamal’s mission in the mid-16th century the city would never be the same again, and colonial buildings were placed right on top of Mayan monuments. The Convento de San Antonio de Padua is the centrepiece, a Baroque monastery where the Pop-Hol-Chac pyramid used to stand. 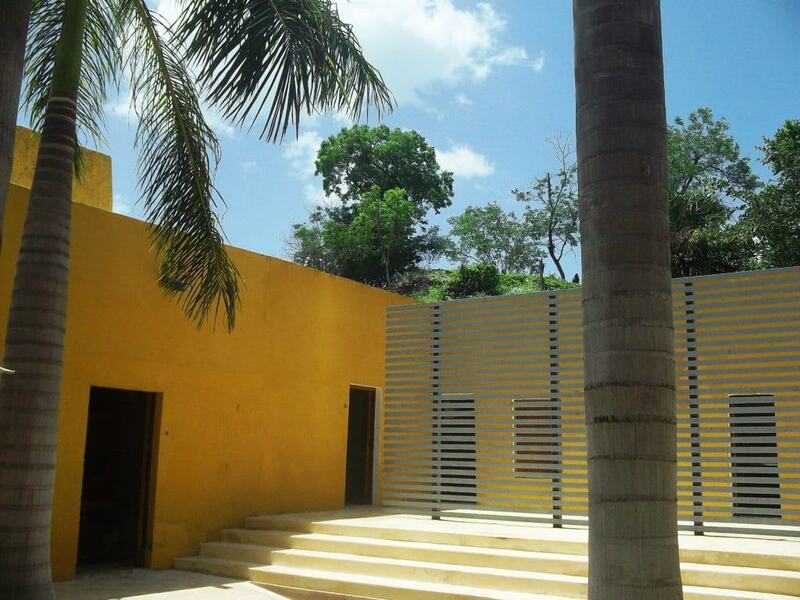 This monument, like most of Izamal’s historic architecture, is painted a cheery ochre yellow. Now, Izamal is an official Mexican Pueblo Mágico, and folded into the townscape are a series of Mayan archaeological sites labelled with helpful information panels. 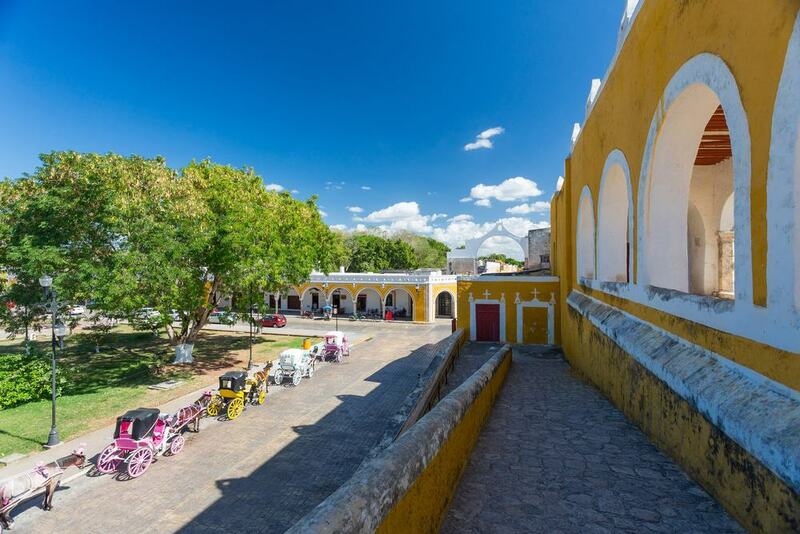 While the centre of Izamal isn’t bursting with sights, you’ll fall in love with its colourful colonial architecture going back to the 16th century. 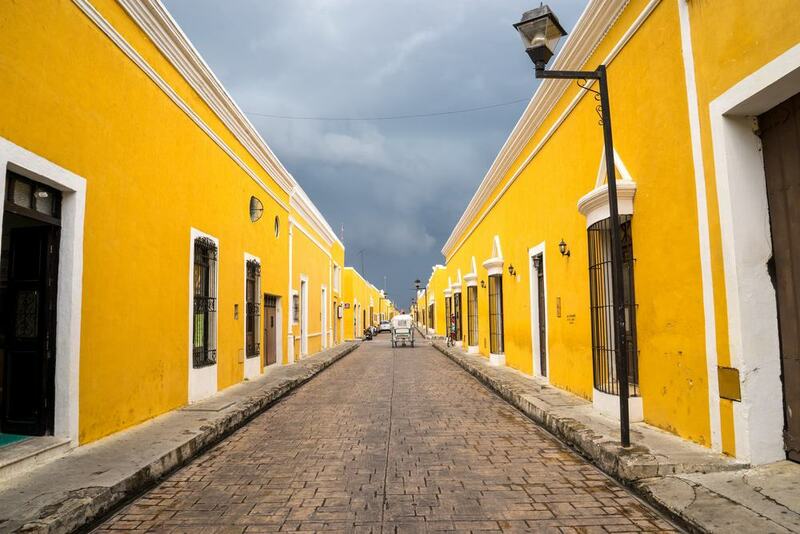 Izamal is often called the “Ciudad Amarilla” (Yellow City) and almost every building is painted in a yellow ochre, while cornices, door frames and window frames are a bright white. Amateur photographers will get some eye-popping shots, and the houses are equally beautiful when their yellow facades show a patina of age. On the south side of the plaza, Parque 5 de Mayo, is the shop Hecho a Mano, selling folk arts and crafts (wood-carvings, embroidered textiles) from around Yucatán. A prime example of how the Izamal’s 16th-century Spanish settlers repurposed the city’s Mayan architecture, this monastery is on top of a Mesoamerican pyramid. Dedicated to the god of the heavens, Itzamna, the Pop-Hol-Chac pyramid was the largest of Izamal’s six Mayan platforms and is still the highest part of the city today. The Franciscan monastery on top was raised between 1549 and 1561, using stone from the pre-Hispanic monument. Tallying with the enormous proportions of the pyramid, the courtyard (atrio) is said to be the second largest in the Christian world behind the Vatican. The church interior has frescoes from the 16th and 17th centuries and an Baroque altar with opulent gilt-wood decoration and painted scenes from the life of Jesus. The most impressive thing about the monastery is certainly its sweeping rectangular courtyard (atrio). At more than 7,800 square metres, it’s definitely the largest in the Americas and, as we mentioned, possibly the second largest in the world . You can negotiate the arcades that trace this massive space and survey the “Yellow City”, thrilled by the thought that you’re standing on a Mayan pyramid. In the middle of the courtyard near the entrance to the church is a statue of John Paul II erected to commemorate his visit in 1993. An inescapable presence to the north of the city centre is an immense Mayan pyramid and the best remaining remnant of Izamal’s pre-Hispanic history. The Kinich Kakmó Pyramid was dedicated to the solar god of the same name. Kinich Kakmó means “fire parrot” and this god, with the head of a macaw, was believed to descend to the ground when the sun was at its zenith to accept offerings. The pyramid is unadorned but is one of the largest in Mexico at 700,000 cubic metres. You’re allowed to climb to the top, and while it isn’t an easy hike in the midday sun, the view from the top is the best in the city. On the north frontage of Parque 5 de Mayo is a museum in a 16th-century mansion. This opened in 2007 after being converted from a hotel and presents the work of the most accomplished craftsmen and women in the city. The museum has 11 halls and its exhibits are divided into five categories: wood, ceramics, metal, textiles and items woven from plant fibres like henequen. There’s creative jewellery fashioned from palm seeds and cattle horns, alebrijes (wacky papier-mâché monsters) and Calavera Catrinas, skeleton figures made for Día de Muertos. There’s also a small exhibition about hacienda architecture in the region, and a shop where you can buy pieces by the artisans in the galleries. 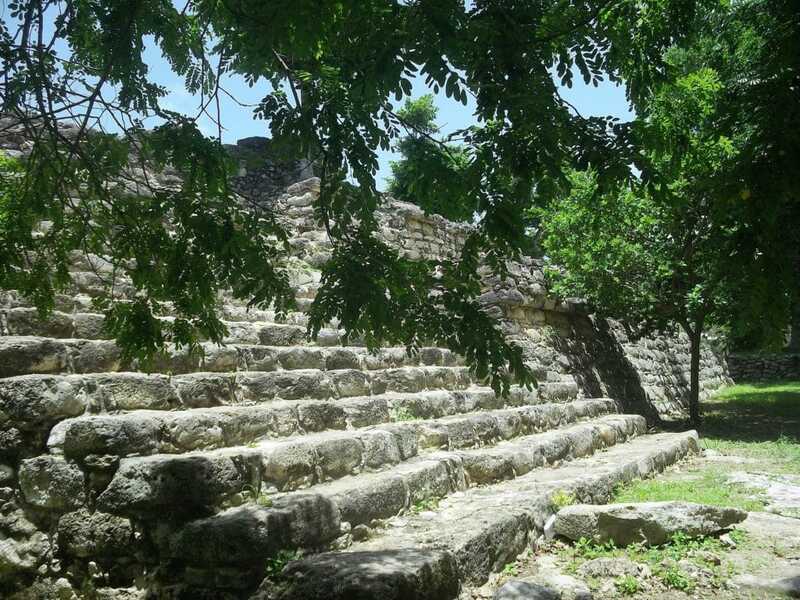 One of the largest monuments on Izamal’s lost Mayan plaza, Itzamatul was a monument built over three phases. The earliest work was done around 400-600 AD and consisted of a base with a light gradient and stairways. This was covered by a more vertical “slope and panel” construction about 300 years later, which has been restored and can be scaled. 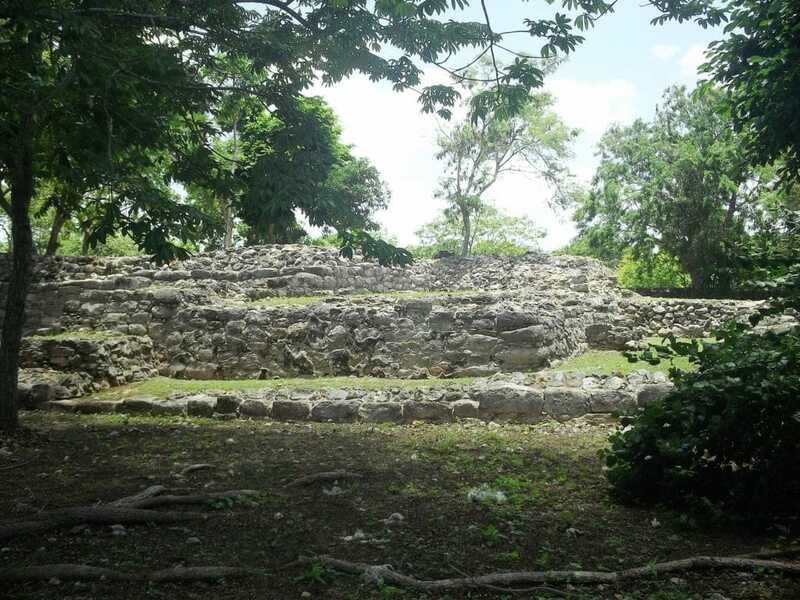 Look north and you can see the Kinich Kakmó Pyramid and get a sense of the layout of the lost Mayan Plaza. The final phase between the 10th and 12th centuries would have been a gigantic pyramid, of which only the 100-metre-long base and a short stairway remains. Like Pop-Hol-Chac, Itzamatul was dedicated to the god of the heavens, Itzamna and would have drawn pilgrims from across the region. On the west side of the Parque Itzamna plaza are the vestiges of a temple that is only now being excavated. The name “Kabul” is Mayan for “Miraculous Hand”, and when it was complete this monument would have measured more than 60 metres in length and nine metres high. Its sides were once coated with stucco decorations, and when the English explorer Frederick Catherwood came to Izamal in 1843 he drew a sketch of an imposing stucco mask as high as the wall itself. Sadly this decoration has since disappeared. On a roundabout facing the southern wall of the Convento de San Antonio de Padua is a monument to Izamal’s colonial founder Diego de Landa. 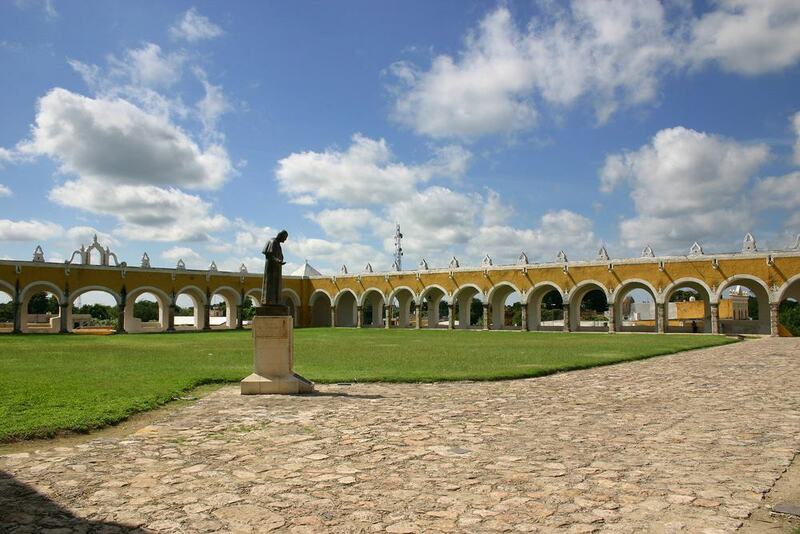 Drop by for a photo as he’s one of the reason’s Izamal looks the way it does today. 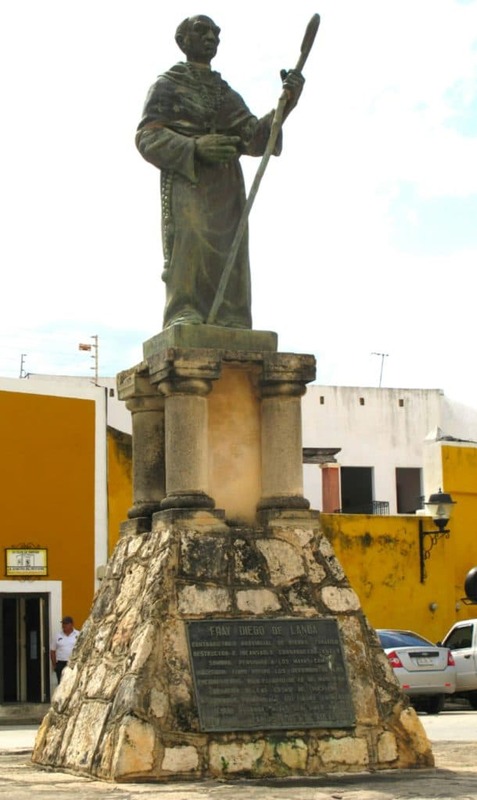 He arrived in Yucatán in 1549, three years after Spanish had established control of the region, and was in charge of spreading Catholicism to the Mayans. His methods were extreme to say the least and involved burning invaluable codices and wholesale destruction of Mayan sites, sometimes transforming them into Catholic monuments, as we see at Izamal. As a paradox, during this campaign Diego de Landa also became the earliest and one of the most reliable documenters of the Mayan civilisation. Izamal’s main plaza is on the north side of the Convento de San Antonio de Padua, and in the Mexican style there’s a colourful sign spelling out the city’s name. The square is planted with royal palms, tamarinds and elephant-ear trees and is bounded by arcades and the ramps to the monastery. In the arcades are cafes, ice cream shops and taquerias, while if you take a seat and look over the western facade you can see the top of the Temple of Kabul. 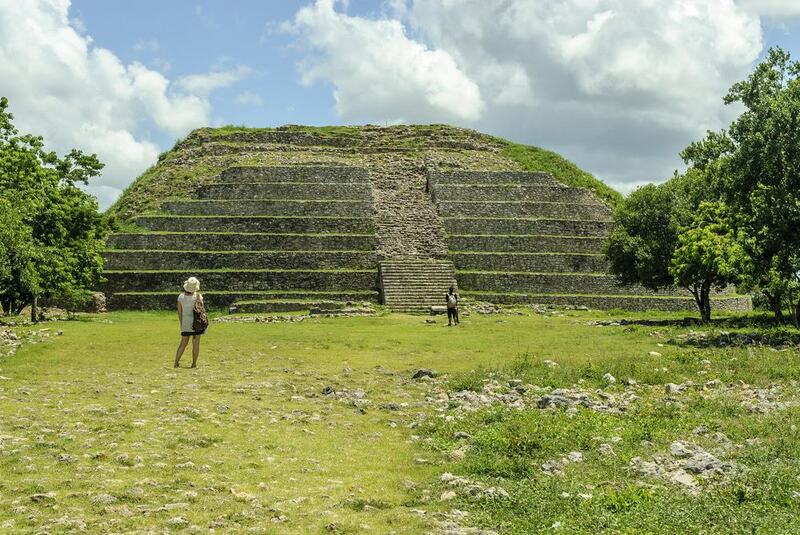 On the east side of Izamal are more Mayan ruins dating from the Early Classic Period, as early as the 3rd century AD. Habuk consists of a platform, 90 metres long at a height of just under four metres. On top is a roughly square plaza, bordered by the remnants of four buildings. The oldest architecture at this site dates to around the 11th century. Like Izamal’s other archaeological sites you’re free to poke around and see what you can find. The last of the ruins to track down in Izamal is El Conejo, a couple of blocks from Itzamatul and Habuk. This is one of the smaller sites, with a single platform measuring 40 x 50 metres and standing 4 metres in height. But archaeologically it has proved one of the most fruitful, as flint spearheads, obsidian cutting tools, ceramic vessels, a copper bell, hatchets and textile spindles have been found in excavations. This structure would have been too small for a pyramid, but may have been the pedestal for a dwelling belonging to an important Mayan official of the city. 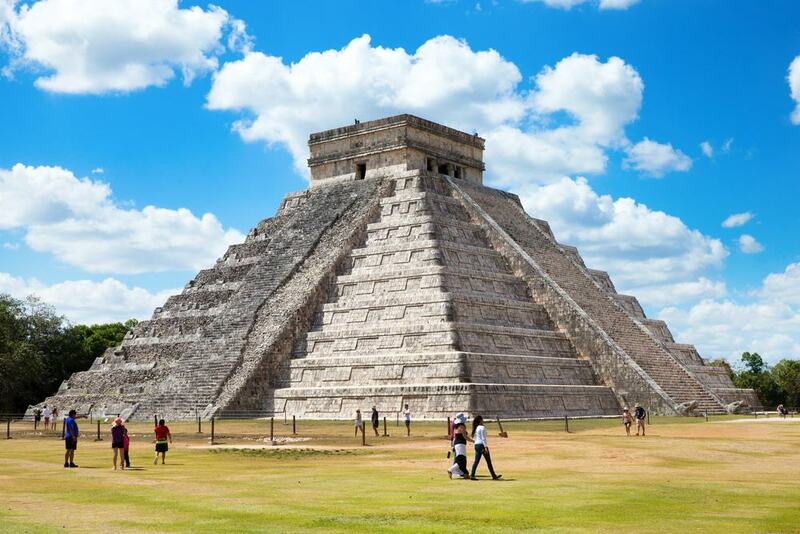 An hour by road to the southeast is the indispensible World Heritage site of Chichén Itzá, one of Mexico’s most beloved historical attractions. This city spanned three phases of Mayan history, (Late Classic, Post Classic and Terminal Class), between the 7th and the 13th century AD. One of many remarkable things about Chichén Itzá is its fusion of building styles, which might tell us that this was the most diverse city in the Mayan world. The instantly recognisable sight is the Pyramid of Kukulcan, 30 metres high and feted for the serpent effect created on its ridged sides at sunset during the spring and autumn equinox. This effect is also recreated with illuminations after dark throughout the year. There’s more than you could pack into a day, but you have to allow time for the Great Ballcourt, the adjoining Skull Platform, the Temple of the Warriors, the Osario Pyramid and the El Caracol observatory. 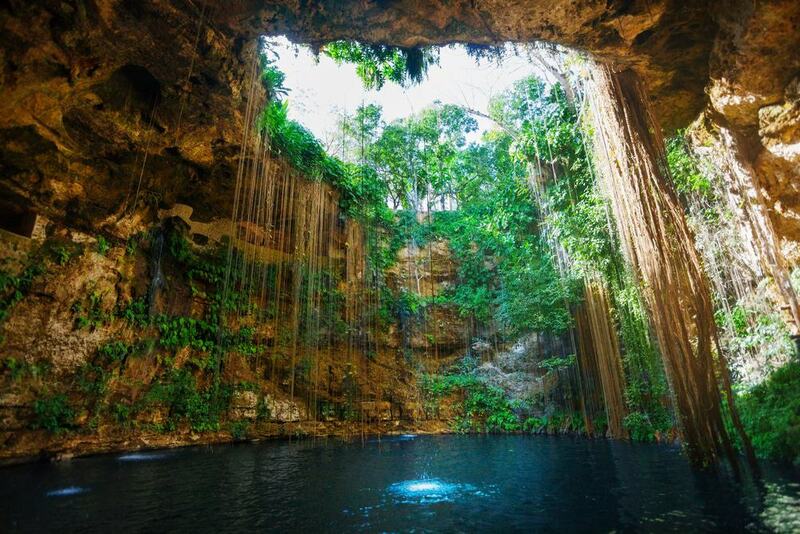 An ideal partner to Chichén Itzá, Cenote Ik Kil is a collapsed cave just to the southeast of the famous ruins. This basis is a scene of real drama and measures 60 metres across and descends 25 metres from the forest floor. The sheer walls are covered with vegetation and there are vines, mingling with little waterfalls extending all the way down. Pack swimwear because there’s a stairway hewn from the rock leading down to the water, which is 40 metres deep. The Red Bull Cliff Diving Series has stopped here three times in the last decade, and archaeologists have found bone fragments and pieces of jewellery in those deep waters. You could spend days visiting nothing but cenotes around the town of Homún, under 50 kilometres to the southwest of Izamal. There are five in store, and you can combine them in a guided tour or seek them out by yourself as Homún has only just opened up to tourism. 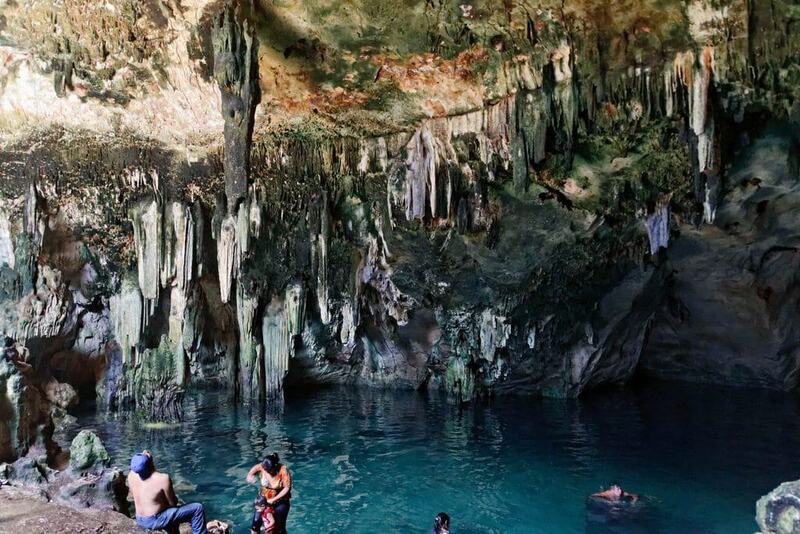 All are exciting in their own ways, whether it’s the emerald green waters at Tza Ujun Kat, lit up by a single shaft of light through the ceiling, or the Santa María cenote where you have to trek through a cave and then a subterranean river before arriving at the crystalline pool. The Santa Rosa cenote has only the tiniest opening in its ceiling, and a wooden stairway has been built to help you to descend to the cool waters in a chamber glowing with an artificial blue light. It goes without saying that Yucatecan food has ancient Mayan roots and there’s a big spread of preparations to sample during your time in Izamal. 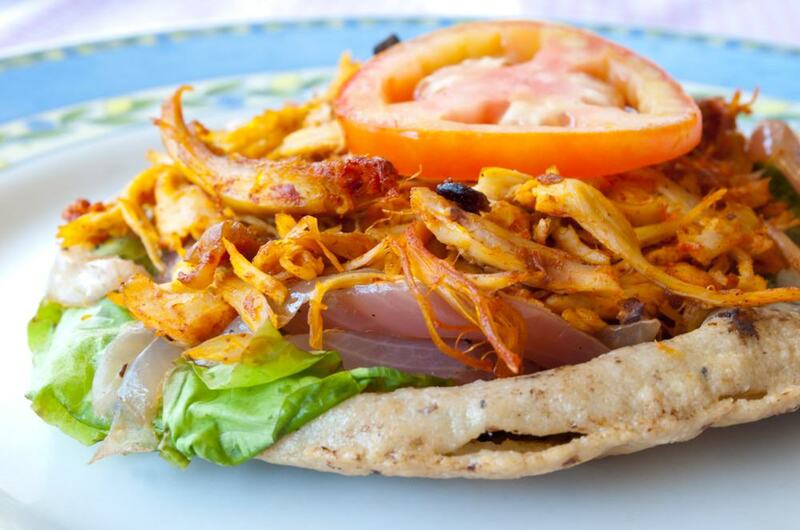 Made at panucherias and normally enjoyed as an evening snack, salbutes are fried tortillas laden with pulled chicken, pickled red onion, avocado and lettuce, although they’re mostly made to order. Along the same lines, panuchos, are fried tortillas stacked with refried beans, pulled chicken, tomato, cabbage and avocado. A hearty breakfast dish is chaya, made from “tree spinach” leaves (chaya) that are boiled and then fried with onion and chopped tomato and then served with eggs. For a hearty meal you could dry queso relleno (stuffed cheese) or frijol con puerco (beans with pork), both of which come in spicy and filling broths. The regional liqueur is Xtabentún, distilled from morning glory honey and anise seeds, and descended from a Mayan alcohol that was consumed via enemas!